On July 28, 1943, I reported for duty at the Naval Training School in Fort Schuyler, the Bronx, New York. My memory of what went on in the two months I was stationed there has grown dim, but I know that we were initiated into the ways of the navy. We studied military regulations, acquired a sailor’s vocabulary, practiced signaling with flags, learned through screenings to identify the different ships and planes that formed the arsenal of the contending powers, read manuals on seamanship, and learned to march in cadence on the parade ground, to the drill master’s shrill instructions. The names of those with whom I associated I have long since forgotten; where we slept and ate I do not recall; and what free time we were afforded now escapes me. I must have been able to get out at times, for I recall worshiping one Sunday at Manhattan’s “Little Church Around the Corner,” and I know that I spent an afternoon in town in search of an apartment. However, normally we were confined to barracks. I knew from my orders that on my release from Fort Schuyler I was to report to the School of Military Government at Columbia University, and I was thus very happy that by September 20, I had found an apartment to my liking in the very shadow of its Teachers College. Our class graduated from the training school on September 24, 1943, and, having been detached and granted leave until October 1, I caught a train the moment I was released and arrived in Grand Rapids early on September 25. Hilda and I spent the next four days visiting old friends and preparing for our joint return to New York. We entrained with considerable baggage on September 29, and on the 30th settled into our apartment on the corner of 118th Street and Amsterdam Avenue. Hilda was pleased with the apartment and found the landlady, Margaret Parks, affable and considerate. It was a large seven-story building that housed us; the uniformed elevator man conveyed us to our third-floor apartment; and Maude, the Harlem maid, came in weekly to dust and scour the two large rooms and small kitchen we occupied. While we were performing our peaceful domestic duties, the war raged on and the Allied gains continued to mount. On July 25, 1943, before I had even reported for duty, the King of Italy had forced Mussolini to resign. While I was just learning to distinguish starboard from port in training school, Sicily was overrun by Patton’s tanks. And before I had completed the course of instruction, General Clark had launched the Italian campaign by landing at Palermo. At home, Clarence Bouma, Ralph Stob, and William Radius substituted for me in teaching selected courses in philosophy at the college. On October 1, 1943, I began a nine-month naval course of instruction in military government and administration at Columbia University. There were forty officers in our class, and of this number only one was without an advanced academic degree; the exception, Lt. Cmdr. Guy J. Swope, had previously been governor of Puerto Rico. The regimen we were under was strict and demanding. We took twenty-three hours of course work every week. There were daily classes, and the assignments were extensive. Since we were being trained for work in Melanesia, Micronesia, Malaysia, Taiwan, Japan, and other eastern territories, we studied Japanese and Pidgin English, and followed courses in geography, economics, cultural anthropology, international law, the rules of warfare, and the history of military occupations. In the language courses we had to undergo testing and demonstrate our skills in understanding and communication. In the other courses we had to write numerous papers, a task that absorbed a good many of our evening hours. The faculty was largely recruited from the staff of the Columbia University and included, among others, Schuyler C. Wallace, Philip C. Jessup, Adriaan J. Barnouw, Grayson L. Kirk, Charles C. Hyde, and Ralph Linton. Mr. Bunji K. Omura taught us Japanese. Prof. Amry Vanden Bosch appeared on the list of faculty members attached to the naval school, but he was not involved in any of the courses I took, nor did I ever meet him on campus or elsewhere in New York. Being run by the navy, the school combined academia with a modified form of military discipline. We were required to report for duty at eight o’clock every morning in order to answer a roll call and to attend to the day’s announcements. Since I lived but a block from school, it was easy for me to be on time for these recurring exercises. Immediately after the morning’s assembly we were sent off to our various classes and, except for an hour’s reprieve at noon, we were kept busy with library and other assignments until five in the evening (the usual free weekend began at two o’clock on Saturday afternoon). Two periods a week were set aside for physical training: this normally consisted of military drills that took place on a barricaded street masquerading as a parade ground. Each of us took turns conducting the drills. Those of us who were slow in giving commands sometimes drove the marching column against a wall or scrambled it into shameful confusion, but eventually we all became tolerable drill masters. A pleasant feature of our work together was the biweekly dinner on Tuesday evenings in the prestigious faculty club: after cocktails and a good repast we would be addressed by some knowledgeable person on a subject germane to our studies, and dismissed around ten o’clock. Most of the students in our class lived off campus with their wives and went their own way. Consequently, I formed friendships with only a few of them; they included George Eddy, Roger Holmes, Eugene McColm, Raymond McLain, Gordon Prange, and Guy Swope. Closer to Hilda and me than any of these good men was Clarence Minnema. 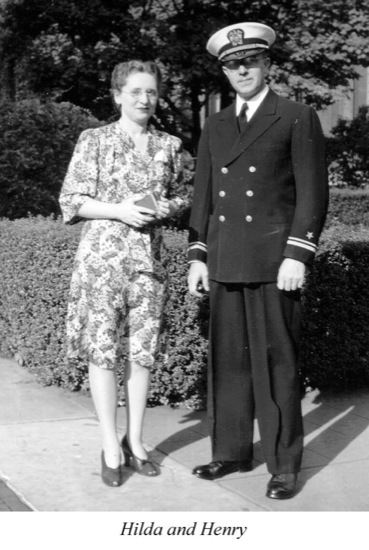 Clarence was a medical doctor and now a lieutenant commander in the navy. He was moreover a native of Grand Rapids who had been brought up in Hilda’s north-side neighborhood. When he learned that I was married to one of the De Graaf girls, he was quick to come over to our house to meet his compatriot. Hilda remembered him and his family, and the two of them enjoyed reminiscing about the events and scenes of their earlier years. After his initial visit, Clarence came over often and we frequently studied Japanese together while Hilda looked on in amusement. There was some visiting back and forth with the others I have mentioned, but these goings in and out were casual and intermittent and have largely faded from memory. What I do recall, however, is our being invited one evening to Lt. Eddy’s apartment for a meeting with Charles and Mary Beard, the distinguished historians, who were relatives of Eddy’s wife. The Beards were getting on in years, but their conversation was lively and perceptive, and we counted the evening well spent. Our social life was enriched by others as well. The Hekman brothers took turns coming to New York in those days, and we were the dinner guests of Henry, John, or Jelle several times at the Hotel Commodore, where they regularly stayed when conducting business in town. Our good friends John and Helen Hamersma lived in nearby Paterson, and we exchanged visits with them on a number of occasions. New York was a port of embarkation for many servicemen, and this brought to our door for lunch, and sometimes for lodging, such friends as Leroy Vogel, Lester De Koster, Peter Katt, and Ira Slagter. And then there were the Calvin students, fresh from my classes, who had been called to the colors and who knew of our presence in the city. Many of these, including Nick Van Til, John Vanden Berg, Gerald Stob, John Hekman, Elmer Van Wieren, and Jerry Hertel, were visitors in our house and savored the products of Hilda’s culinary skills. How Hilda managed I do not know, for rationing was in effect, and coffee, sugar, butter, and meats were always in short supply. But manage she did. Since our evenings and weekends were generally unencumbered, Hilda and I were free to do as we pleased. When I was not working on some assignment, we read, listened to music, wrote letters, attended an occasional movie, explored the town, ate at a neighborhood restaurant, and kept up with world events through radio and press releases. We were regularly in church on Sunday mornings: sometimes we worshipped in the Riverside church, where we heard Harry Emerson Fosdick preach; sometimes we could be found in the Union Theological Seminary chapel, where we listened to sermons by Reinhold Niebuhr, John Bennett, Henry Sloan Coffin, and John Knox. A few times we attended the Cathedral of St. John the Divine, where Bishop William T. Manning presided; but the Broadway Presbyterian Church became our regular place of worship. John McComb was the senior minister there, and he preached the old-time gospel. But neither he nor his people invited us to participate in the life of the church, and we remained for the duration unattached to any particular body of believers. 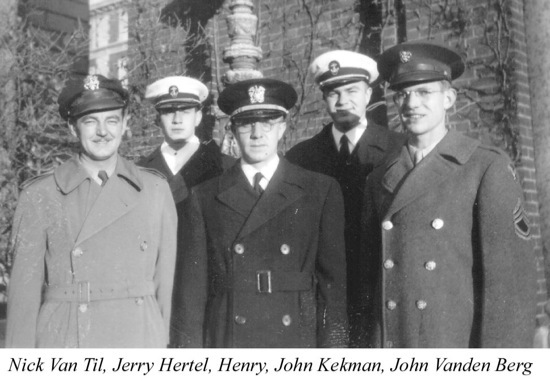 Our brother-in-law, Dr. Thomas De Vries, joined us at Columbia in mid-December 1943. Left with two young children after the death of his wife, Hilda’s sister Therese, Tom had remarried and was still a professor of chemistry at Purdue University. He came to New York to join the group of scientists who had been assembled at the university to work on what became known as the “Manhattan Project,” work involving the development of the atom bomb. Tom settled in our neighborhood and, until he was joined by his family in late January, he took his evening meals with us and regularly spent Sundays in our company. When the Christmas season came, we set up a tree in our living room and prepared to celebrate with joy and thankfulness the birth of our Savior. Tom was, of course, invited to join in the celebration we planned for the holiday, and we were pleased when we learned that Edward De Graaf, Hilda’s brother, would be able to join in the festivities. Ed, an officer in the army’s corps of engineers, was about to be sent overseas, and his two- or three-day stay with us was therefore especially gratifying. Joy turned into sorrow when we learned that John Zeilstra, my sister Gert’s husband, had died on December 28, 1943, from the effects of diabetes and related complications. Unfortunately, we were not able to attend the funeral, but we deeply mourned the passing of a brother-in-law accredited by all who knew him, and we commiserated with a dear sister who was now left alone to care and provide for her three children. Our year’s end celebration was muted in keeping with the events that had just transpired, but we did hazard a trip to Time’s Square on New Year’s eve and mingled cautiously with the crowd that hailed the birth of 1944 with boisterous acclaim. Throughout the winter and spring I was kept busy at the school, where things proceeded quite as they had at the beginning. It was on May 15, 1944, that our studies came to an end and each of us was awarded a certificate attesting our completion of the long course of instruction. I had now been in New York for nearly ten months, had for most of this time led a life similar to the one I had long been accustomed to, and, in spite of the uniform I wore, had not made a single contribution to the war’s advancement. It was to be expected, then, that with my training accomplished, I would be reassigned and made a working part of the established war machine. But this did not happen. I remained under the command of Captain John K. Richards and was ordered to join a small group of university-based military writers who were preparing handbooks on the far-eastern territories likely to be occupied and administered by the conquering Allied forces. The four-month tour of duty I now began allowed Hilda and me to retain our residence at 430 W. 118th Street, and to continue the patterns of living we had adopted under even more favorable conditions. The work place to which I had been assigned, a large room in one of the university buildings, was only a block from our apartment, and I was able, as before, to come home for lunch on every working day. There were no more assemblies, no more drills, and no more ceremonies to attend. The five or six of us who had been recruited for research and writing arrived at our desks at eight in the morning, broke for lunch, left for home at five, and spent our evenings totally free of military discipline. Yet the work was taxing. The navy had supplied us with worksheets indicating what sorts of information it desired, and it was our duty to consult every available source of knowledge pertaining to the area of our concern and set down in ordered fashion the result of our inquiries. The leader of our group was Lt. Kenneth Bunce, who in civilian life had been a professor of history at Otterbein College and had passed through the school of military government with the class that preceded mine. He was preparing a handbook on Japan, and I was asked to do one on Taiwan and on the adjoining Pescadores Islands. I found in Ken a kindred spirit, and we were soon collaborating on our respective assignments, with the result that during the long summer of 1944, I learned nearly as much about Japan as I did about Taiwan and its island satellites. As the weeks and months progressed, our association grew into companionship, and when we served together in other posts after that, a friendship grew up between us that outlasted the war. When September rolled around, each of us had completed our assignments and produced sizable manuscripts replete with information about the people and territories we had researched, and it was time to move on. The academic year 1943-1944 at Calvin had by now run its course. The student enrollment, which had been at 385 in September, had declined to 345 by year’s end. The faculty remained stable, except that Grace Pels resigned as dean of women in June in order to marry Chaplain Elton Holtrop. Enrollment in the three undergraduate classes at the seminary was 30, and at commencement eight graduates were ready to enter the active ministry. Prof. Berkhof, having reached retirement age, left his post in midsummer and was succeeded in the seminary presidency by Prof. Volbeda. That year the Board of Trustees expended the princely sum of $148,000 to run the two schools. The Synod of the Christian Reformed Church met in June 1944 with representatives of nineteen classes in attendance. Asked to restudy the 1928 resolutions on worldly amusements, the Synod refused to do so on the grounds that the statement’s principles were clear and its implications plain. Asked to support an incipient movement toward the establishment of a Calvinistic university, Synod judged that the proposal was premature and that what had to take priority was the enlargement and improvement of the college. Choirs were again in focus, but they were no longer banned; however, restraints were placed on them. Synod declared: “In cases where choirs exist or will be introduced, it is insisted that only those psalms or hymns shall be sung which are approved by Article 69 of the Church Order; or such anthems as contain only the exact words of portions of Scripture; or such anthems or hymns which have previous consistorial approval as to their Scriptural soundness.” Synod also made the editorship of The Banner a full-time position and elected the incumbent part-time editor, Rev. H. J. Kuiper, to fill it. With the arrival of September 1944, our stay in New York was about to end; but before we left the city, we were visited by Mother De Graaf and her young grandchild, Charles Ryskamp. Our guests stayed with us for two whole weeks and Hilda, besides caring for them at home, regularly accompanied them in their reconnoitering of the city. I received orders on September 8, 1944, directing me to proceed to Princeton, New Jersey, and to report on the 16th to the commanding officer of the School of Military Government at Princeton University. In the intervening week I wrapped up my work at the New York research center; and on an exploratory trip to Princeton, I was able, in spite of the housing shortage, to engage rooms minimally suited for residence. Early on the 15th Hilda and I entrained for Princeton and on arrival settled in the apartment I had rented. It was on the upper floor of a two-story house located at 12 Van Deventer Street. The landlords, Mr. and Mrs. Smith, occupied the apartment below, from which vantage point they could conveniently monitor our comings and goings. Our apartment was shabby and ill furnished, and Hilda was initially taken aback by its appearance. But purchasing curtains, lamps, and other accessories, and applying womanly ingenuity and resourcefulness, she was able to convert the erstwhile wasteland into a pleasant abode fitted for comfort and convenience. I reported for duty on September 16 and was promptly made a member of the teaching staff. The School of Military Government at Princeton was unlike that at Columbia in that the courses there were taught not by professors at the university but by graduates of the Columbia school. Moreover, the courses at Princeton lacked the length and depth of those offered in New York. Army and navy officers up to the rank of colonel and captain were sent to the Princeton school for a period of six weeks to undergo instruction in the basics of administration and to gain some knowledge of the peoples and territories likely to be governed by the Allied forces. I was required to lecture on Japan, and this I continued to do as long as I remained with the school. Three different classes of “students” passed through the school during my time, and to each of them I discoursed on things Japanese, covering as well as I could a range of topics stretching from agriculture to Zen Buddhism. In order to do my work, I initially had to read extensively in the library; but my burden eased as time went on, and I eventually acquired sufficient leisure to enjoy the sights and sounds of the village with Hilda and to associate with friends new and old. John Wevers and Henry Bajema, recent graduates of Calvin, were studying theology at Princeton Seminary at the time; our doors were always open to these former students of mine and we spent many a social hour with them. John and Helen Hamersma were fellow New Jerseyites, and we continued to visit each other as often as we could. Ken Bunce, Gordon Prange, and Guy Swope had also been transferred to Princeton, and we carried on with them as before. We formed new friendships with other members of the staff, especially with Jim Roberton, George Warp, Dave Carpenter, and Stan Reese. In time Hilda came to meet the wives of most of these men, and with them she became a member of the Women’s City Club, whose meetings she attended once or twice. Hilda had enjoyed relatively good health during most of the time we had spent in the service, but in Princeton she had a severe attack of kidney stones. She was relieved of the intense pain by shots of morphine administered by a local doctor whom we had previously engaged to monitor her new pregnancy. Free of the stones after days of suffering, Hilda and the precious chid she was carrying remained under the physician’s care until we left Princeton in February 1945. Her frequent visits to the doctor also brought her into steady contact with Grace Wevers, who happened at the time to be serving as a nurse in the doctor’s office. I don’t remember how we celebrated Christmas 1944 or how we ushered in the New Year, but I do remember that we spent Thanksgiving Day in Paterson with the Hamersmas, for we were driven back to Princeton late that evening by Henry Bajema. The remembrance of his heavy-footed driving down dark and narrow roads still scares an apprehensive Hilda. That same November, I was elevated with several others to the rank of lieutenant senior grade. The acquisition of two full stripes and double bars entailed a raise in pay but hardly any advance in dignity and status, for it was in unison that my friends and I moved up the ladder of preferment; unlike some of them, I was never thereafter allowed to increase my rank. It is important that you remember it is from Princeton that I write. Others will be writing from the Ardennes, or from Luzon, or from the bitterly contested slopes of Italian mountains. Some may write who fly in planes and sail in ships against the enemy. They will have been in pain and peril, been lonely, perplexed, afraid. They will have suffered, and what they say will require your first attention, and mine as well. They will tell us, I’m sure, that war is madness, and they will rightly bid us join them in every sound effort to banish it forever. They will do more. They will bid us develop, while pursuing the relatively undisturbed routine of our normal lives, the strong qualities of mind and heart that the best of them have acquired through the efficacious discipline of suffering. They will bid us do that lest they return to find us insensitive and irresolute, unchastened because untried. We may not refuse the challenge implicit in their sacrifice. We had been in Princeton for about five months when on February 22, 1945, I was ordered to proceed to Monterey, California, there to prepare for duty outside the continental limits of the United States. I was detached on February 28 and was allowed to delay until March 24 my reporting to the commander of the Civil Affairs Staging Area (CASA) in The Presidio. Having packed our bags, and having had our possessions boxed and shipped by an accommodating navy, Hilda and I entrained for Grand Rapids on February 28, and on our arrival there we settled in with Mother De Graaf for the three weeks I was permitted to be on leave. The 1944-1945 academic year at Calvin College was drawing towards its close, being run that year on a budget of $164,000. The shifting student enrollment stood at 420, but women outnumbered men, 295 to 125. Eighty of the resident women were now housed on campus, and the men were evicted from the dormitory, which had long been their exclusive domain. Mrs. Anna Dolfin served as dorm matron, and Mrs. Grace Hekman Bruinsma had come aboard as acting dean of women. Professors Johannes Broene and James Nieuwdorp were in their last years of teaching, and their going would impoverish the college, for they were estimable men with deep roots in the venerable past. Through the efforts of Mr. Nick Hendrikse, a sufficient amount of money had been collected to build a science building, but the actual construction would have to await the lifting of government restrictions. Twenty-six undergraduate students were enrolled in the seminary, eight of whom had completed the accelerated course in March 1945 and were now poised to enter the active ministry. Prof. Volbeda was completing his first year as president of the seminary, and Dr. Rutgers his first year as professor of systematic theology. Meanwhile, things were happening in the outside world. In 1944, penicillin reached the civilian market, and Congress passed the GI bill. In November, Franklin Roosevelt, with Harry Truman as his running mate, defeated Thomas E. Dewey for the presidency and was inaugurated for a fourth term early in the new year. The war continued unabated throughout the winter. On December 16, 1944, Hitler hurled a powerful force against the thinly held American lines in the Ardennes Forest. The Battle of the Bulge ensued and it did not end until, on December 26, the German attack was halted at Bastogne. In February 1945, Roosevelt, Churchill, and Stalin met at Yalta and signed the ill-conceived Yalta Agreement. That month also saw the massive bombing of Dresden and the conquest of Iwo Jima. American troops reached the Rhine in March and, under General Patton, would soon penetrate deep into enemy territory. Tokyo, meanwhile, was reeling from the effects of the fire bombs being rained upon it by the U.S. eastern air force. Hilda was by now quite visibly pregnant and was not feeling perfectly well; but it was not within my power to stay with her. I was under orders to proceed without her, which is what I did with great reluctance when my leave expired. Filled with concern for her, and uncertain about my own future, I left her in the care of God and the guardianship of her mother and sister, and flew to San Francisco on March 20, 1945. I reported for duty at The Presidio in Monterey on the 24th, was assigned a billet in one of the barracks there, and began a tour of duty that would last six months and carry me beyond the expiration of the war. The Presidio of Monterey was an old army post. Covering four hundred acres, it had formerly been a garrison for cavalry and field artillery forces but had now been converted into a staging area for prospective military administrators. Situated on high ground, it overlooked Monterey Bay and afforded a glimpse of both Monterey and Pacific Grove. It was overshadowed by nearby Fort Ord, a much larger army base that was largely devoted to the training of recruits. Just inside its main gate stood a monument erected in honor of Fra Junipero Serra, the founder of the California Mission. The monument marks the spot at which he is presumed to have landed in the year 1770. In 1945 the town of Monterey had a population of about eleven thousand. Located on the shores of the bay, it lay 125 miles south of San Francisco and within seventeen miles of the famous and picturesque village of Carmel, which one could easily reach by way of the rugged coast road that traversed the Del Monte Forest. To the east of Monterey lay the fertile San Joaquin Valley, in the midst of which was Salinas, the scene of one of our encampments. Said at the time to be the largest fishing port in the United States, Monterey was famous for its sardine industry and its celebrated “cannery row.” The pride of the town was the old Custom House, erected by Spain and enlarged by Mexico, and now maintained by California’s park commission as a historical museum. The naval officers among whom I was numbered were now under army command, and we were inducted into a mode of life hitherto foreign to us. The apparent object of our training was to fit us physically for the occupancy of devastated lands deprived of requisite resources and facilities; to equip us for defense against a possibly hostile populace; and to provide us with the practical skills needed to perform relief and administrative tasks. To this end we were subjected to a regimen close to that imposed on raw recruits. We were supplied with army fatigues and combat boots, rooted out of bed at an early hour, made to stand in formation for roll call, and organized for a variety of schoolings and missions. We were taught how to fire, dismantle, and clean rifles and revolvers; how to crawl under low-strung barbed wire; how to set up tents large and small; how to build fires and cook meals in open spaces; and how to march long distances while carrying a backpack that grew heavier by the mile. We took target practice, constructed refugee kitchens, built camps on wet ground, and simulated managing a town deprived of water, electricity, and the ordinary means of communication. We bivouacked in desert places, slept in pup tents, and marched, the marches culminating in a twenty-mile hike undertaken while laden with full gear. Toward the end of our stay, a handful of us spent a week on a barge that plied the waters of San Francisco Bay off Tiburon. We learned how to handle the craft and also how to ascend from it to the deck of an anchored ship by means of a swaying rope ladder that threatened to throw us into the sea. But it was not all work. There were times when we played softball, the officers pitted against the enlisted men, and there were the usual pauses in the day’s activities. Moreover, except when we were absent on maneuvers, we were free to employ most evenings as we wished. There were weekend passes, too, but I don’t recall ever making use of one. I used whatever freedom I had to visit Monterey a few times, and it was there that I had my first taste of abalone. I also drove to Carmel in a jeep that was at my disposal and was captivated by the charm of that quaint village. On a few occasions I went to the officers’ club at Fort Ord, where Mr. Behrman tended bar; and I was once a dinner guest of Mr. and Mrs. Behrman, who often played hosts to the Christian Reformed servicemen stationed in Fort Ord. It was on that occasion that I met, among others, Rev. Harry Dykstra, who moved along the California coast as an itinerant chaplain. On the whole, however, I remained a home body. I normally spent Sunday at worship in the base chapel, and I spent my evenings writing letters, reading the books I borrowed from the library, or playing chess with Jim Roberton, who bunked beside me in the sparsely furnished barracks we called home. Less than three weeks after I had arrived at The Presidio, the nation was cast into mourning by the death of President Roosevelt on April 12, 1945. The elevation to the Presidency of Vice President Harry Truman did little to allay the sorrow of the populace, and did nothing initially to bolster its hopes for the future. Truman was held in low esteem by most people and generally considered unfit to guide the nation in these troublesome times. As it turned out, the citizens need not have feared; for Truman proved to be a wise and prudent leader whose skill in management and whose folksy ways soon endeared him to the people. The European war was now drawing to a close. During the month in which Roosevelt died, American troops reached the Elbe and the Russians entered the outskirts of Berlin. On April 28, Italian partisans effected the gruesome death of Mussolini, and on April 30, Adolf Hitler and a few of his close associates committed suicide in a Berlin bunker. After a short siege, Berlin fell to the Russians on May 2; the Netherlands was freed on May 5; and on May 7, General Jodl surrendered unconditionally at Rheims. May 8, 1945, was proclaimed Victory in Europe day, and it was marked by joyous celebrations throughout the western world. It was soon after this, however, that the world reacted with consternation and revulsion to the discovery of the German death camps at Buchenwald, Dachau, Belsen, Auschwitz, Linz, and Luben. In June, July, and August 1945 the eyes of the Western world were turned toward the east. The forces of Japan were now in retreat on every front: Okinawa had already fallen into American hands in June, and Japanese cities continued to be heavily bombarded by the Pacific air fleet. Yet no one expected the Asian war to end very soon. The wisdom at the time held that, though the Japanese could be ousted from the territories they had seized, they could be subdued at home only at the cost of untold casualties. It was believed that, immured in their island fortress, the natives, inspired by their Shinto faith and their devotion to the emperor-god, would fight to the death, even with sticks, stones, and bamboo poles, rather than surrender. In such a scenario the Japanese casualties, plus those that would be incurred by the Allies in an amphibious assault, would be astronomical. It was with this in mind that the Allied leaders met in Potsdam on July 17, 1945, and considered the adoption of a new and awesome tactic. In the aftermath of that meeting, Truman spoke out on July 26, issuing an ultimatum to the Japanese emperor: Surrender, he said, or else. Behind the ultimatum lay the unspoken threat of an attack the likes of which had never before been launched against an enemy. After years of scientific inquiry and the application of technological ingenuity, America had produced a batch of atomic bombs on its own soil, and one of these had been detonated successfully in the New Mexican desert. Receiving no response to his ultimatum, and sensing the presence of a fixed intransigence in the Japanese, Truman decided to reach into his secret arsenal and bring the Japanese to bay by deploying the world’s newest weapon. On August 6, 1945, a B-29 bomber named Enola Gay, commanded by Colonel P. W. Tibbets, flew over Hiroshima and dropped the first atomic bomb ever employed in warfare; three days later, a plane piloted by Major Charles W. Sweeny dropped a similar bomb on Nagasaki. The unspeakable devastation and loss of life caused by these assaults moved Japan to sue for peace, and on August 14, 1945, Emperor Hirohito called off the war. The clash of arms had now ceased, and the whole world was provisionally at peace. The events of those last several months, significant as they were, did not affect me as much as the one that was soon to transpire in Grand Rapids. I had been in almost daily touch with Hilda, and when the time of her delivery drew near, I secured a ten-day pass and flew home. I left the base on August 15, but because the military transport I used was erratic, I did not arrive until the morning of the 18th. Although Hilda was due to be delivered about that time, no signs of labor were evident; and since Hilda, though encumbered, was in tolerably good health, we attended the wedding of her brother Andy to Barbara House on August 23 and happily joined in the festivities. My leave, however, expired on the 25th, and on the morning of that day there was still no movement. Hilda called her doctor and when she informed him of the situation, he ordered her into Butterworth Hospital and promised to induce labor. 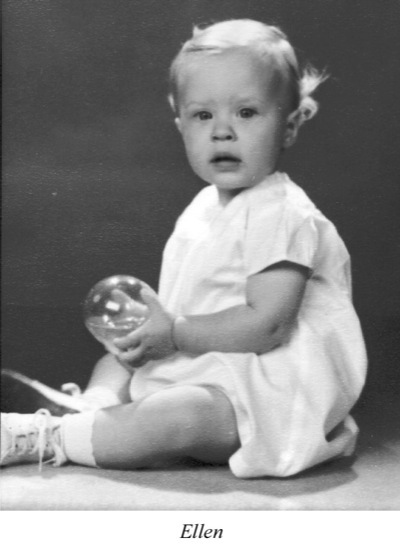 The procedure proved successful, and at 5:35 a.m. on Sunday, August 26, 1945, Hilda delivered into the world our darling daughter Ellen Margriet. She was a beautiful child, and about six o’clock I got to hold her in my arms while Dr. Leon Bosch, Intern Hubert Verwys, and several nurses stood by with tears in their smiles. I held Ellen for all of ten minutes, embraced my dear wife while smothering her with kisses, dashed down to the waiting taxi, and caught a 7 o’clock plane bound for California. It would be ten months before I would see my loved ones again, but I was happy as a lark and deeply grateful, for Hilda was doing well and God had blessed us with a well-born child. On my return to The Presidio, things proceeded as before, but rumors were rife that some of us would soon be shipped out on assignment. We were still awaiting orders when, on September 2, 1945, the official Japanese surrender ceremonies were conducted by General MacArthur on the battleship Missouri in Tokyo Bay. It was shortly after this that MacArthur was designated Supreme Commander Allied Powers (SCAP) and elevated to the virtual premiership of the nation of Japan. I would later be attached to his command, but I had no inkling of that at the time. Calvin College is seriously handicapped in its work without the services of Lt. Henry Stob in the department of philosophy. . . . The college is struggling along with inadequate assistant help, which affects the quality of work in that department quite seriously. . . . The release of the above named person for the purpose of resuming his position at Calvin College will enable the college to carry on its work acceptably and will be greatly appreciated by the authorities of the college. This letter was dispatched without my knowledge, and, as was to be expected, no heed was given to it by either the army or the navy. On September 28, 1945, I was ordered to proceed to the Fort Lawton staging area in Seattle, Washington, there to await passage to a duty station outside the continental limits. I was not alone. I had previously been incorporated into the Fortieth Military Government Headquarters Company, and this group was now to be shipped out as a unit: it consisted of ten army and navy officers and a company of enlisted men, and was headed by Lt. Col. J. E. Wilson. Only Lt. Vaughn Pierce and I were from the navy. When we arrived in Seattle, we were put up in barracks; as far as I recall, we did nothing there but wait until an appointed vessel carried us out to sea. It was on October 9 that we boarded a troop ship named the S.S. Jean Lafitte, and set out on a thirty-day journey to Korea. I had phoned Hilda the previous evening and was happy to learn that she and Ellen were well. The Jean Lafitte was, I suspect, an ancient freighter that had been converted into a troop ship. In any case, it was an ugly duckling that waddled slowly across the vast expanse of the Pacific. It plied a zig-zag course, presumably to avoid floating mines, and seemed at times to be making no progress at all. There were troop contingents of various sorts aboard, some destined for Okinawa, some for Korea, and some for Japan. Those bound for Okinawa left the ship by rope ladders and were conveyed to land by LCM’s on the day the ship anchored off that island. The remainder of us found the exercise diverting, for with little to do we were experiencing a general boredom. I did my share of lounging on the deck, and I engaged in small talk with the rest; but I also read what I could lay my hands on, and this did much both to preserve my equanimity and to improve my mind. I shared a rather large cabin with Vaughn Pierce, and to it Jim Roberton often came for evening companionship. Conversation here tended frequently to turn toward religion, and on one occasion I ventured to lay out before my friends the lineaments of my Christian faith. This led to questions about the Bible, about disputed points of doctrine, about the validity of ethnic religions, about the nature and source of morality, and about other things besides. What surprised and pleased me was that word of our discussions soon spread among our fellow officers, and that several of them gradually began to join our company. What started out as unstructured palaver eventually turned into something like a seminar on religion, which, meeting nightly, sometimes drew as many as a dozen inquiring and disputatious savants into our cabin. I had never before, and I have seldom since, been as favorably situated to proclaim the gospel as I was then; and it is with tempered satisfaction and with gratitude to God that I now recall the animated discussions on religion that took place in our crowded quarters during an otherwise long and tedious journey. I was still aboard ship when two events transpired back home that, when I heard of them, affected me deeply: one was the death of a beloved sister, and the other was the baptism of a precious child. In mid-October my sister Jen (Vander Molen) died at the age of 47 from the effects of rectal cancer, which had ravaged her frail body for some time. Of course, I could not attend the funeral nor communicate with the sorrowing husband and children; but I did correspond with the bereaved as soon as the sad news reached me, and I shared with them my own deep sorrow. This was the third time that the cold hand of death had reached into the immediate Stob family, but the pain it caused was assuaged in this case, as in the others, by the confidence we shared that the last enemy had been overcome by a blessed life that would never end. On Sunday, October 28, 1945, Hilda, unattended by her husband, stood up in the presence of many worshipers and presented our baby Ellen for baptism. The sacrament was administered in the East Leonard Church by Rev. John G. Van Dyk, and I am told that there were quite a few tearful eyes when the ceremony took place. This I can understand, for it was no small thing for Hilda, charged as she was with the physical care of the child, to also utter the vows committing her to the nurture of Ellen in Christian discipleship. Of course, I did not know of this event until I came ashore, but I have ever since been appreciative of Hilda’s courage and resolution in this matter, and am deeply moved whenever I envision her standing in solitary devotion at that memorable baptismal font. On November 8, 1945, after thirty days en route, our ship docked at the port of Inchon (Jinsen) on Korea’s west coast. The members of our company disembarked dressed in field clothes and burdened with the gear we would need should no proper facilities be available ashore. As it turned out, we were bedded down in an abandoned warehouse, where I slept for a week without shedding my clothes, and where I shaved out of a helmet filled with cold water drawn from a source the nature and location of which I do not recall. We had, however, been assigned to the capital city, and we eventually proceeded to it. Our commander, Colonel Wilson, became the putative mayor of Seoul, and I was initially designated its civilian feeding officer. The problem this posed did not long remain mine to solve. Having just begun to look into the matter of food, I was relieved of my responsibilities, transferred to an office in city hall, and put in charge of the city’s educational affairs, an assignment more to my liking. I promptly called a meeting of the school authorities, inquired how we could help, and began an inspection of the schools. But while I was thus engaged, on November 27, barely twenty days after my arrival in Korea, I received orders freeing me from my duties with the 40th Military Government Group and assigning me to general headquarters in Japan. I surmised that word of my presence in the area had reached the ears of Ken Bunce, who was then working under General Douglas MacArthur in the government’s Religious Affairs Department. As I later learned, he was indeed behind the move. The small staff he headed was knowledgeable about Shinto and Buddhist affairs, but he needed someone to head the Christian division, and his request for my transfer was met with a prompt and favorable response from his superiors. The orders I received set no date for my reporting and, what is more, they allowed me to travel by air or sea, according to my preference. Not bound by time, I leisurely finished the work at hand, stayed to partake of a Thanksgiving Day dinner with my associates on the 29th, traveled in easy stages to Jinsen, and on December 3, 1945, boarded an American merchant ship bound for Japan. The Grace Line steamer that was to be my home for the next six days bore the name Cable Splice and was captained by Edson Lee, a man of about my age who welcomed me aboard with naval courtesy and a friendly smile. I was the only passenger aboard and was promptly conducted to a spacious cabin, where I was waited on by a mess boy bearing a pot of coffee and some cake. The smallish vessel had a limited crew, and only three officers, the captain, a first mate, and a purser named John Titmas. Given the run of the ship, I dined with the officers on excellent fare, reclined in my cabin with books and magazines, strode the deck, engaged in target practice with a borrowed rifle, had my clothes laundered, relished the soft sea breezes, and enjoyed a vacation the likes of which I had never before experienced. A warm companionship, even friendship, grew up between Lee, Titmas, and myself during the course of that pleasant week, and on subsequent visits to Japan they visited me twice in my hotel. After traversing calm seas for six days, we reached Yokohama on December 8, 1945, where I reported to the base commander and was assigned a billet in Tokyo. Before disembarking, I was presented a bill by the purser. It read: “Subsistence for 6 days at $.70 per day, $4.20.” I paid the bill with alacrity, and astonishment. The Yokohama that I saw was a scene of desolation. Large areas of the city had been reduced to rubble by the fire and demolition bombs dropped on it by our air force, and when I reached Tokyo, a similar panorama spread before me: 60 percent of the city lay in ruins. The area around the palace had been preserved, and the several large hotels and commercial buildings near it stood erect; but the tinderbox houses in which most of the people lived had been consumed by flames, and vast sections of the city presented the appearance of a wasteland. The people I saw on the street reflected in their posture and demeanor the aspect of the wasteland they were walking through. Saddened and humiliated, their broken spirit manifested no disposition to oppose the occupying forces or even to resent their presence. Their behavior toward the conquerors was a model of deportment. They showed an awesome regard for the magisterial MacArthur during my short stay, and they were submissive toward the rest of us and in most cases deferential. One could walk the streets at night in utter safety, and in a chance encounter one would experience nothing but Oriental courtesy. Upon my arrival, I was billeted in the Shiba Park Hotel, where the accommodations were satisfactory though not elegant, but where the American food, served by Japanese waitresses, was tasteful and in good supply. I settled in on December 8 or 9 and on the 10th reported for work in the Radio Tokyo Building, located not far from the hotel. I was now under the indirect command of General MacArthur, the Supreme Commander Allied Powers (SCAP). Though Hirohito retained the title of emperor, it was the American generalissimo who exercised sovereignty in the country. Calm, aloof, dignified, and impressive, the “Yankee Mikado,” as someone dubbed him, sat in the driver’s seat and both earned the respect of the common people and exacted the loyalty and cooperation of Japanese officialdom. He lived in the American embassy and had his office in the Dai Iche building, where he was surrounded by his immediate staff and deputies. The difficulty of his task was compounded by the fact that he not only governed Japan but also had jurisdiction over all the Allied forces deployed in the vast Pacific arena. It was under his supervision that four million Japanese soldiers and sailors were demobilized; and it was by his orders that more than five hundred minesweepers were engaged in cleaning the adjacent waters of well-laid mines. It was he, too, who moved the nation toward constitutional democracy, disestablished the state religion, initiated woman suffrage, and got the emperor to disavow his presumed divinity. Under SCAP there were a number of administrative departments, one of which was the Civil Information and Education (CIE) Section, headed by Brigadier General Kenneth Dyke. Under his jurisdiction was the religious division of CIE, and this was headed by Lt. Cmdr. Kenneth Bunce. The work of this division consisted in monitoring the activities of the various Japanese religious communities and in enforcing the relevant directives emanating from SCAP, and it had for some time been performed by Bunce, Navy Lt. George Warp, and Army Cpt. Edward Kerr. But they had hitherto been absorbed in overseeing the operation of the Shinto shrines and Buddhist temples, and little or no attention had been paid to the Japanese Christian Church. I had been recruited to fill the gap, and I was made head of the Christianity unit on my arrival and put in charge of all matters relating to Christianity in Japan. I selected an interpreter from the Presbyterian Reformed community by the name of Takeshi Matsuo, and with his assistance I carried on my work. Of my accomplishments there is not much to boast. This was partly due to the fact that my tenure was short-lived, and partly to the fact that I was increasingly drawn into the work of the other units in the division. But I did prepare a directive, endorsed by SCAP, facilitating and regulating the entrance of Christian missionaries into the country. I conferred frequently with the heads of the Kyodan, the United Church created during the war by imperial edict. I helped a small group of Reformed Christians break away from this forced union and establish the independent denomination with which the Christian Reformed Church now has filial relations. And I was happy to support and attend a rendition of Handel’s Messiah by a Japanese Christian chorus in the Tokyo Imperial University auditorium at Christmastime. During the course of my work I was privileged to have an audience with Toyohiko Kagawa, the celebrated preacher, social activist, and author. Born in 1886 and converted to Christianity at the age of 15, he was nurtured in the faith by Southern Presbyterian missionaries. He had studied theology at the Meiji Gakuin and later at Princeton Seminary, lived an active life in the slums of Kobe and Tokyo, and became internationally known for his advocacy of a social gospel that envisioned the cessation of war and the reign of love and justice on earth. When I met him, he was fifty-eight years old, had been put upon by the Japanese authorities during the growth of military fascism in the thirties, had been largely silenced during the war, but was now active in Christian programs of relief and rehabilitation. I was with him in his humble dwelling no longer than two hours, but I was impressed by his frail presence and robust determination, and was glad to have made the acquaintance, however fleeting, of a distinguished Japanese Christian whose theory of the kingdom, though differing from my own, was reflected in a life of sacrificial service. The members of the religious division operated as a team, and I was naturally drawn into engagements with representatives of the Buddhist and Shinto faiths. The typical Japanese is an adherent of several faiths: his daily life is shaped by Shinto naturalism, his death and burial falls under Buddhist auspices, and his group morality is rooted in Confucianism. Although there are no Confucian edifices, the land is filled with Buddhist temples and Shinto shrines, and our team inspected some of these several times. Shintoism was the native and, until the American occupation, the established Japanese religion. However, by an edict published before my arrival, that religion had been disestablished, and the maintenance of the priests and shrines was made dependent on private and voluntary contributions. To determine whether the enacted regulations were being observed, and to assess the reaction of the Shintoists to the military occupation, Bunce, Warp, and I were ordered by General MacArthur in mid-February to inspect the Grand Shrine of Ise, the seat of national Shintoism. We were accompanied on our five-day mission by Dr. Hideo Kishimoto, professor of religion at Tokyo University and our customary liaison with the native religious communities. The events of those days remain vivid in my memory and now cause me some embarrassment. Various Japanese agencies had been informed of our projected trip, and on the day of our departure a special railroad car was reserved for the four of us on the Ise-bound train. We stopped en route at a station cleared for our arrival, and after traversing a red carpet, we were served tea and cakes by genuflecting attendants. At Ise we were received with supreme courtesy and deference by the chief priests and elders and, between stints of inspections and inquiries, we were feted, dined, and entertained like accredited ambassadors of a king. It was here that I first came into the company of geisha girls and imbibed my first drafts of sake. In subsequent weeks and months we made similar, though less triumphant, visits to Shinto shrines and Buddhist temples in Futami, Narita, Uji, Yamada, Nagoya, and Dyama, and were everywhere entertained like princes. At Dyama we were carried in sedan chairs to the top of a small mountain in order better to survey the landscape. I must remark that this land of trees, streams, mountains, rocks, and gardens appeared to me to be one of the most beautiful places on earth. On January 1, 1946, I listened with interest to the radio broadcast in which Emperor Hirohito renounced his presumed divinity. On the first of February, I vacated my room in the Shiba Park Hotel and took up residence in the more prestigious Tokyo Kaikan in the center of the city. From my third floor window I looked out on the moat that sheltered the imperial palace lying beyond it. We ate here in a well-appointed dining room and were served by Japanese waitresses, who delivered to our cloth-bedecked tables the best food a generous military establishment could provide. Our lodgings were rent free, and for the three sumptuous meals we daily consumed we were charged the sum of seventy-five cents. The cartons of cigarettes we could buy at the PX were inexpensive, and we were allotted free rations of Japanese beer and American whiskeys; as a result, my expenses were reduced to a minimum. I was able in consequence to send Hilda the bulk of my salary, and this later stood both of us in good stead. Except when we were off on out-of-town trips, I worked at my desk in the Radio Tokyo Building from eight to five each day and had the evenings to myself. Besides walking the streets on sight-seeing tours, engaging my associates in conversation and disputation, and reading the books and anthologies supplied by the Armed Forces Institute, I did little to celebrate my freedom and generally went to bed early. On one occasion, however, I was taken on a night tour of the Nagara River, where I witnessed a display of cormorant fishing. In a small boat propelled by an oarsman, a fisherman controlled a group of fishing cormorants with strings. Unable to swallow their prey because of the strings constricting their throats, the birds delivered their catch into the hands of their master. The performance of man and bird was impressive. I had arrived in Japan on December 8, 1945, and was already eligible for discharge on January 1, 1946. But since I had just assumed new duties, I was indisposed to seek release and was in any case urged by my superiors to stay the course. I promised to stay on until the first of April, and even offered to remain until the first of July if I were to be promoted to lieutenant commander. 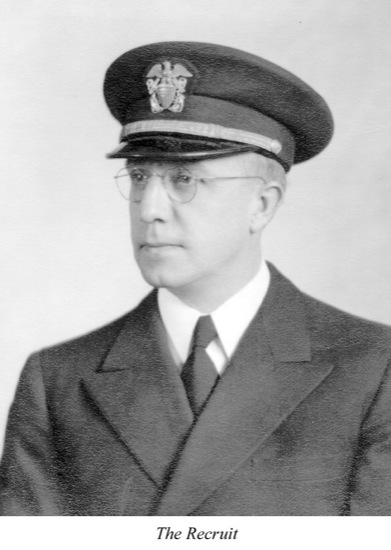 A requisition for my promotion was sent in by Ken Bunce and endorsed by General Dyke; but the provision under which it could be granted was rescinded before the application reached the navy’s bureau of personnel, and I continued to bear on my sleeve the double stripes I had obtained at Princeton. As it turned out, I delayed my request for release to inactive duty until May 16, 1946; I was approved for discharge on the 21st and authorized to clear general headquarters on the 26th. I was formally detached on May 27, 1946, and on that day I sailed from Yokosuka on the U.S.S. La Salle. I don’t remember how I spent the fourteen days it took us to cross the ocean, but I know that I contemplated with joy the prospect of being with Hilda again, and of holding in my arms the baby girl I had left in the hospital a long ten months earlier. Two other things engaged my mind during the uneventful crossing. Hilda had sent a message that, in anticipation of my imminent return, she had bought a house on Sherman Street for twelve thousand dollars. We had indeed agreed that it would be pleasant to own a place of our own, and I was comforted to know that she had made the purchase in consultation with Henry Ryskamp and Mr. Denkema. But recalling that in 1942 we had decided that we could not afford to buy a well-constructed house on sale for six thousand dollars, I wondered faithlessly whether we could now afford a residence so costly and palatial. Putting that aside, I reviewed the preceding three years and wondered why I had been led to take the several steps I took, while accomplishing so little. While men in battle bled and died, I was comfortably ensconced in New York, Princeton, and Monterey; and when the war was over, I was assigned to tasks in foreign lands that I could have performed without military training and presumably without any additional training whatsoever. Disquieted by thoughts like these, I nevertheless concluded that it is futile, and perhaps impious, to take issue with an overriding Providence. I was content to acknowledge that I had accumulated some experience and to believe that I had perhaps grown in maturity and wisdom in ways I had not yet come to understand. But of that I had then no fixed assurance. Our transport docked at San Francisco on June 9, 1946. I secured from the ship’s supply officer a receipt for the military gear left in his custody, and on disembarking reported to the officer in charge of the naval district’s intake station. I was put up that night in the BOQ, and I entrained the next day for the separation center at Great Lakes, Illinois. Reporting there on the 12th, I was found physically qualified for release on the 13th, and on the evening of that same day, June 13, 1946, I entered with exceeding joy the house at 762 East Leonard in Grand Rapids and embraced my dear wife and child. With the years of military service behind me, I faced the time of adjustment and reorientation ahead of me with some trepidation, but also with a certain eagerness to get on with the job from which I had been wrenched by the exigencies of war. The Calvin College academic year 1945-1946 had come to a close by the time I returned. In the course of that year, the third of my absence, the student enrollment had risen to 626, the increase due to the second semester enrollment of 165 discharged veterans, by whose accession the reign of the women on campus came to an end. To meet the teaching requirements, the retired Professors Johannes Broene and James Nieuwdorp had stayed aboard and were joined in the second semester by Harold Dekker and newcomers Gordon Buter and Henry Bruinsma. The Board of Trustees operated that year on a budget of $175,000. To meet the demands on the library, it appointed Miss Esther Vande Riet as a full-time assistant to Josephine Baker; it also made plans to enlarge the library. The board’s appointment of Rev. J. J. Hiemenga as educational secretary was vetoed by the 1946 Synod, to the chagrin of many. The cost of living had apparently risen during the year, and the board increased staff salaries by ten percent to compensate. It also acquired two houses on Franklin Street and converted them into residences for women students. The Synod of the Christian Reformed Church met in annual session in June 1946, and appointed Rev. Ralph Danhof to succeed the recently deceased John De Haan as stated clerk. It entertained a gravamen submitted by Prof. Kromminga and appointed a committee to investigate his millennial views. It also appointed a committee to assist Netherlanders planning to emigrate to Canada, and instructed the seminary faculty to consider the possibility of establishing a chair of missions. In the world at large, the war crime trials at Nuremberg continued apace; and in Tokyo the trial of wartime Japanese leaders, charged with conspiracy to wage war, was just getting underway. Former Prime Minister Hideki Tojo headed the list of the people indicted, but Generals Itagaki, Doihara, Kinsura, and Muto were also on trial for failure to prevent the brutalization of prisoners and civilians. The Philippines were granted independence in July 1946, and at about that time the Bulgarian government fell into the hands of native communists. The United Nations Assembly, established earlier in San Francisco, held its first session in London in January, and in the spring the United States government observed the cessation of hostilities by lifting wage controls. The house Hilda had bought was at 1334 East Sherman Street located in a fine residential neighborhood between Benjamin and Giddings; it was in the near vicinity of the Calvin campus. We moved into the three-bedroom stuccoed house on July 4, 1946. Hilda had made a down payment with the money she had saved from the military checks, and the remainder of the purchase price was covered by a mortgage supplied by the Old Kent Bank. After we had settled in, I addressed myself to my studies, but took time out to attend a session or two of the Reformed Ecumenical Synod, which came into being in August. This first meeting of delegates from South Africa, The Netherlands, and the United States was held on the Calvin campus and was chaired by Prof. Berkhof. The synod framed a constitution, established an agenda for the future, and pledged itself to a fruitful continuance. After three long years in military service, I now looked forward to the opening of school. But before it opened, our little family joined in celebrating Ellen’s first birthday. Hilda baked a cake and put a candle on it, and Ellen made a wish that she kept secret.